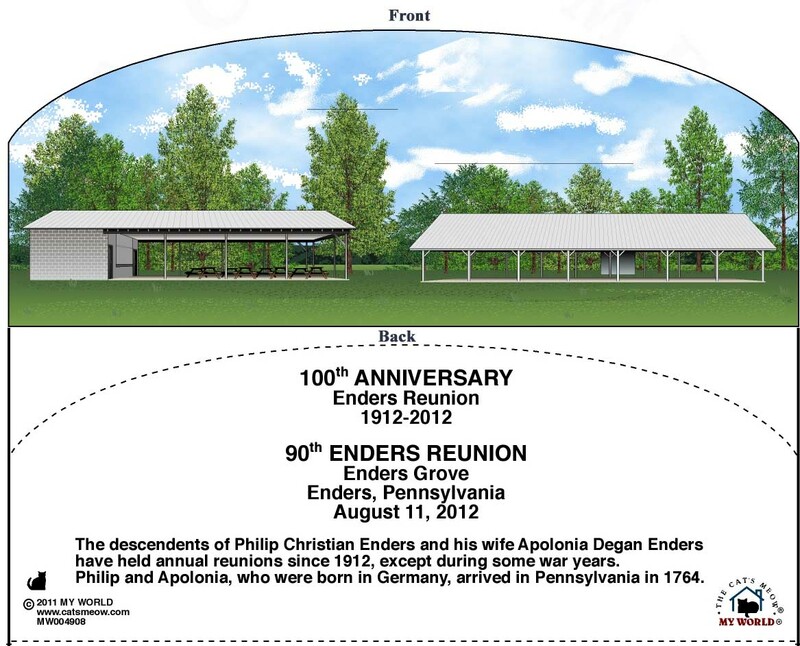 Celebrate the 100th anniversary of the Enders family reunion, which started in 1912, with this commemorative plaque as sold at the 90th reunion on August 11, 2012! This wooden plaque depicts the pavilions at Enders Grove as they stood during this momentus occasion. We still have some Volume II books. Volume II contains information that was added after Volume I and before David Enders, President (endersabst@comcast.net). We do not have any more Volume I books. If you want Volume II it is free. Contact David Enders, President (endersabst@comcast.net) for shipping costs. Please remember that Volume III contains corrected information and much additional information so we encourage you to invest in it.